This scribble was published on Friday, November 9th, 2012. You can follow any banter on this scribble with the RSS 2.0 feed. You can share your inspired musings after typing the anti spam word near the bottom of the page. But no Pinging because its too naughty. I wouldn’t let the windy palm tree family in my house. I have thought about it and I wouldn’t. They may have upgraded to Windows 8, but obviously don’t know how to use an iron board. I have more sympathy for the single mother in the top pic – she is has survived a sticky divorce – her husband hid all his assets leaving her unable to afford anything more than a bedsit as a living space. Interesting that they don’t seem to have any features of the product itself to advertise here, though. 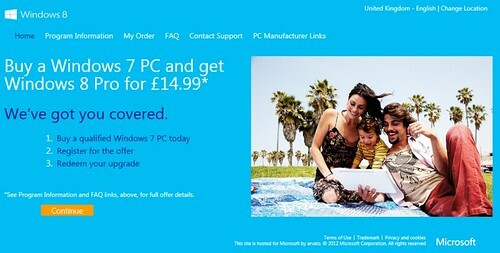 You don’t even see Windows in the picture at all – for all we know, both groups could be running Ubuntu! I’m thinking about a Nexus 4 – decent price, SIM-free, and should have enough processing horsepower to deliver decent browsing at last. No, you do not sound like a grumpy old man. I agree, as an IT type person, I so do not want W8. I could use Meego instead. as a total hardware thicko….I have no clue what you are all on about. However, I am an expert on being a computer using mother (literally and figuratively 🙂 and expert iron-er. I’m in dire need of a new computer, but I’m so confused by all the choice I’ve become totally paralysed in my purchase (see, it’s not easy being a hardware thicko). 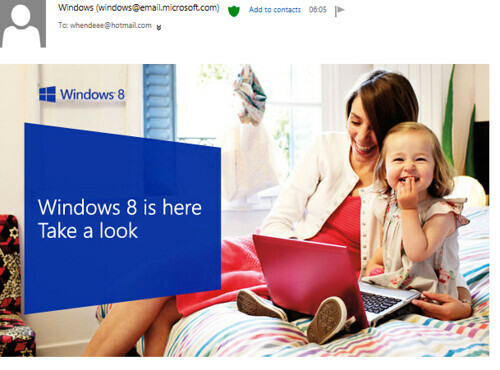 I do know for sure that the windows 8 advertising bods have got it all wrong if they want me to buy into their product, I’m too old and far too well turned out by their standards. I love the idea of a fisher-price computer, or one by Catapillar in yellow and black with some really effective rubber-ware for bouncing when it’s dropped – that’s DROPPED – not thrown onto the floor…..